"She told me that daddy got sick, and she showed me where daddy was, and so I saw him lying on the ground"
Molly McCabe is just 3 years old, but she used FaceTime to help save her father's life after he had a stroke. News4's David Culver reports. When a father had a stroke when he was home with his 3-year-old daughter, the little girl used FaceTime to call for help. Molly McCabe of Winchester, Virginia, is being hailed as a hero. Trevor McCabe, 27, was at home with Molly on the Fourth of July when he suffered a stroke. Molly used her dad’s phone to call her mom at work using FaceTime. 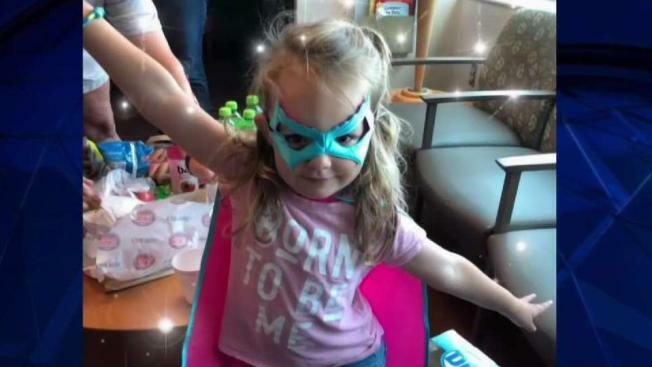 “She did a FaceTime call, and she was so brave, and she told me that daddy got sick, and she showed me where daddy was, and so I saw him lying on the ground,” said Molly’s mother, Devon McCabe. 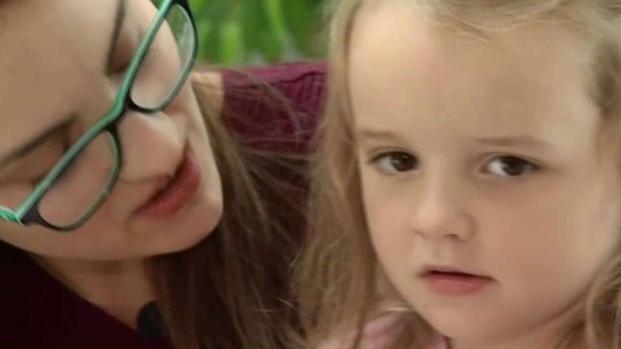 When a father home with his 3-year-old daughter had a stroke, the little girl used FaceTime to call her mother, who got the dad dad emergency help. News4's David Culver has the story. The child's mother called 911, and emergency crews rushed her dad to Winchester Medical Center. After receiving medication, he was flown to Inova Fairfax Medical Campus, where a blood clot to his artery in his brain stem had to be broken up. “Probably if I had to pick one artery in the brain, that’s the most critical artery that you don’t want to have blocked off,” Inova radiologist Dr. Edward Greenberg said. Molly smiled bashfully as her mom praised her. "You were so brave when you called Mama, and you did such a good job," Devon McCabe said. "They're here because you're a hero, like a superhero." Molly went to bed Wednesday with a new superhero cape and mask. Fundraising for the family is underway. More than $43,000 had been raised as of Thursday morning via a GoFundMe page.